Under the project title “New Names”, the public foundation “Art and Culture” presents young and talented artists and musicians. 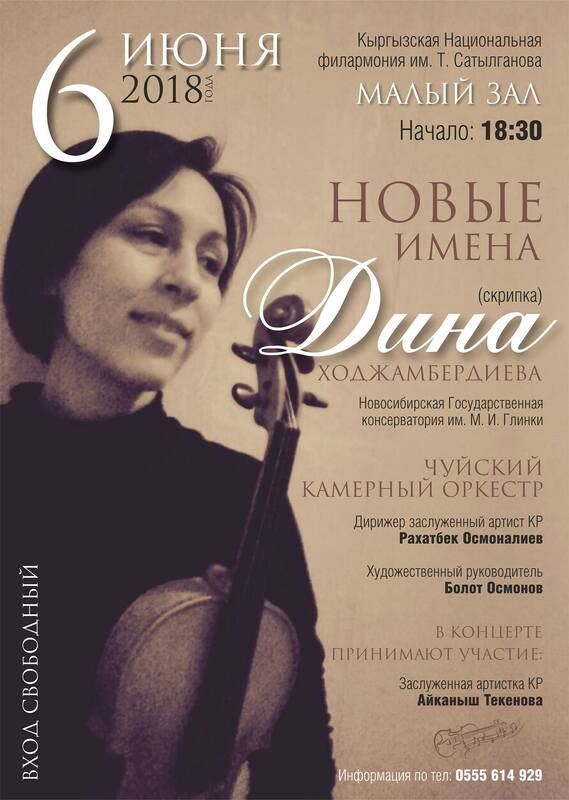 This concert will focus on the violinist Dina Khodzhamberdieva from the Novosibirsk State Conservatory. This event is organized by the Public Foundation “Art & Culture” (ru: Общественный Фонд “Art & Culture”). 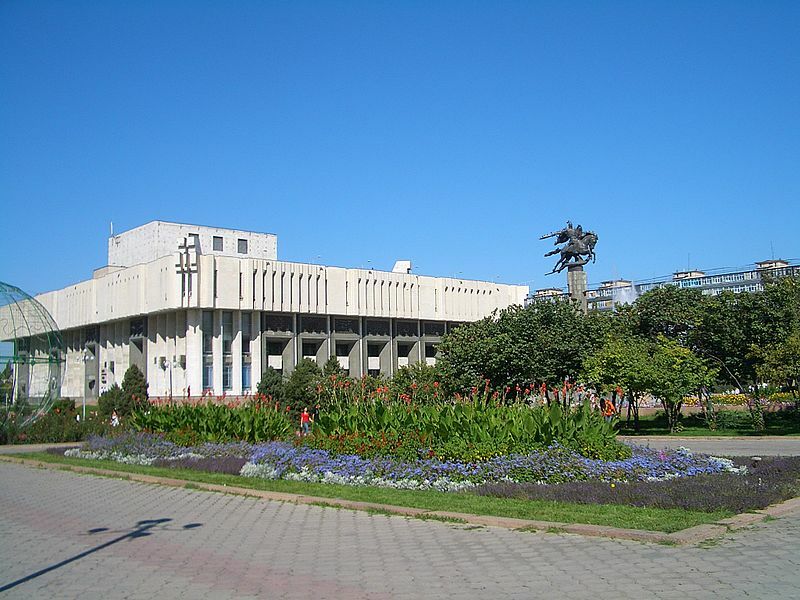 The main activities of the Foundation are: the development and support of culture and art in the KR, the implementation of educational and cult. The Public Foundation “Art & Culture” supports young and talented artists, musicians, poets and filmmakers.